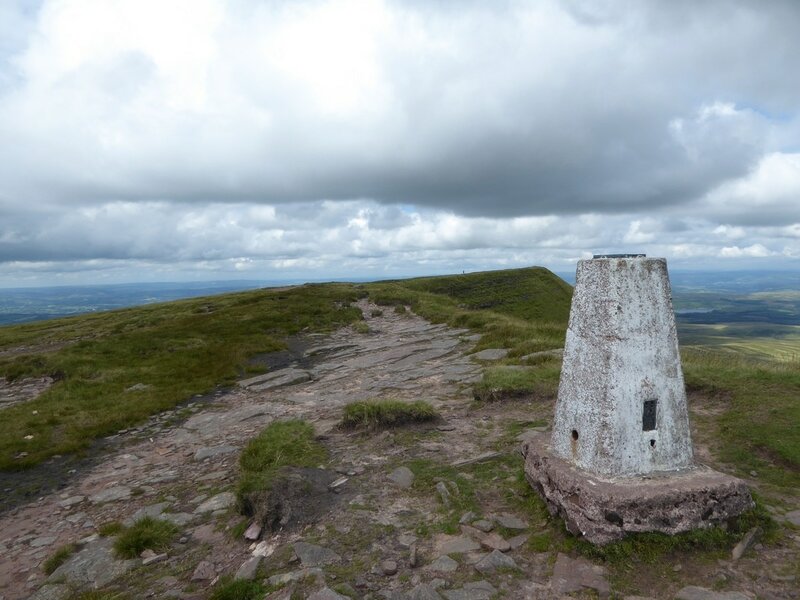 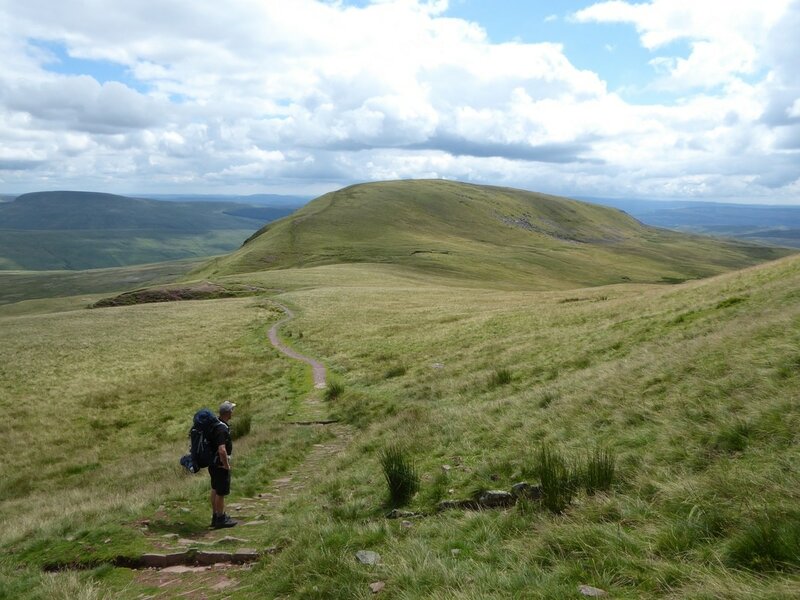 Good mountain paths, ridge and escarpment walking. 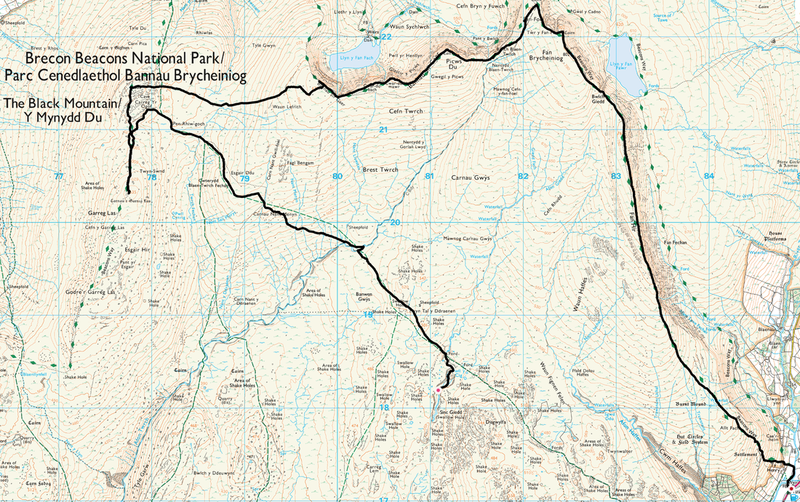 The path from Carreg yr Ogof to Waun Lefrith is intermittent and is not marked on the OS Map. 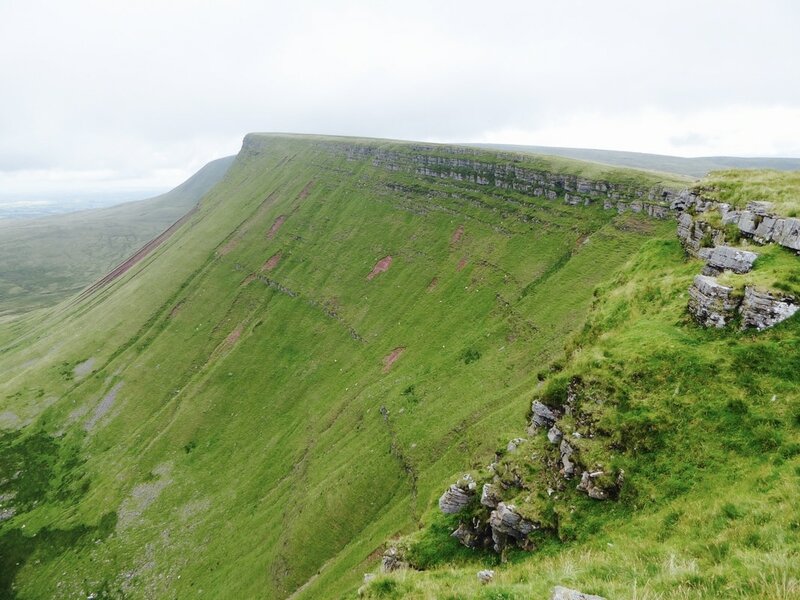 Care should be taken in mist when walking the escarpment of Bannau Sir Gaer and also along Fan Hir. 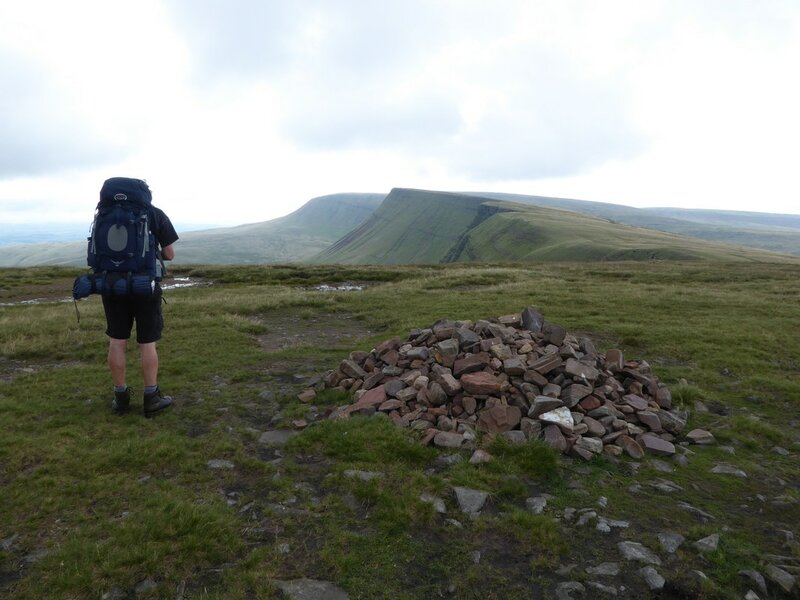 We were up and about early and after a breakfast of Porridge and a couple of Bacon Sarnies we struck camp and were on our way. 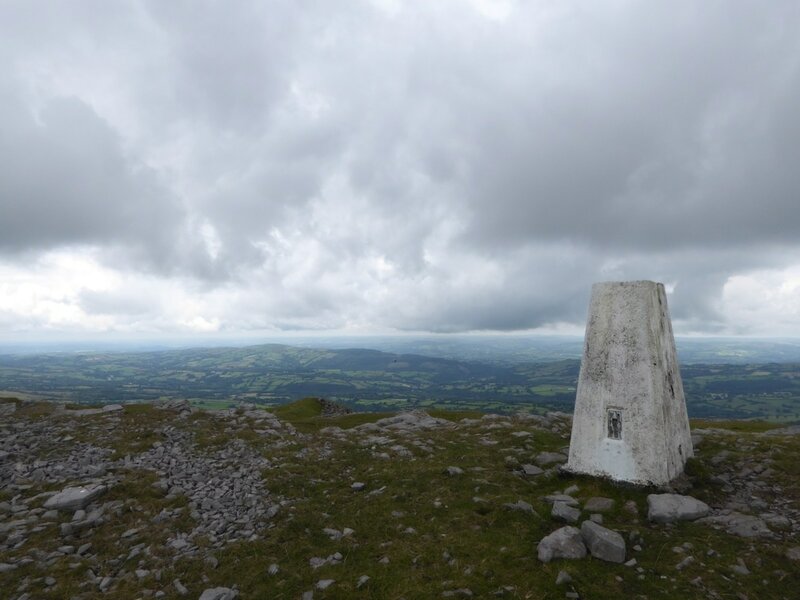 Despite a promising forecast, the weather was to remain mainly overcast for the day with the odd sunny spell thrown in for good measure. 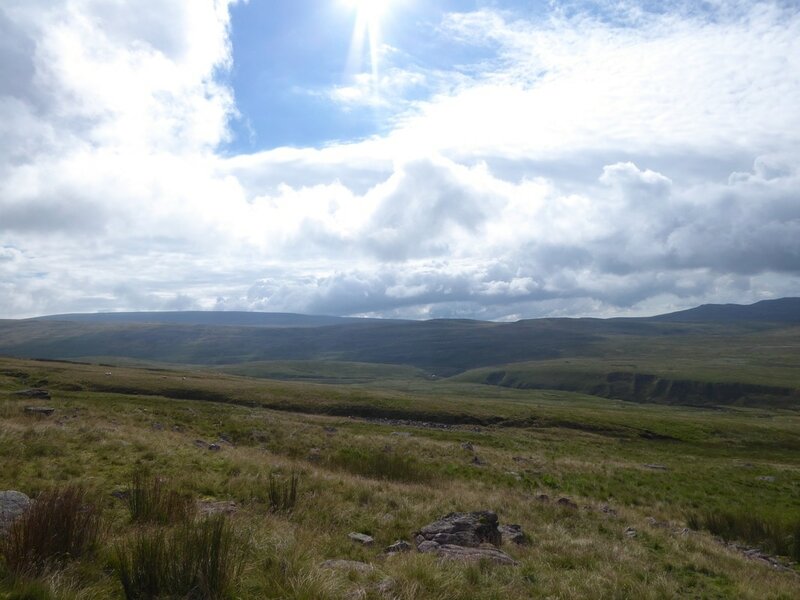 We headed up river to the north east and passed the area where our fellow campers had spent the night. 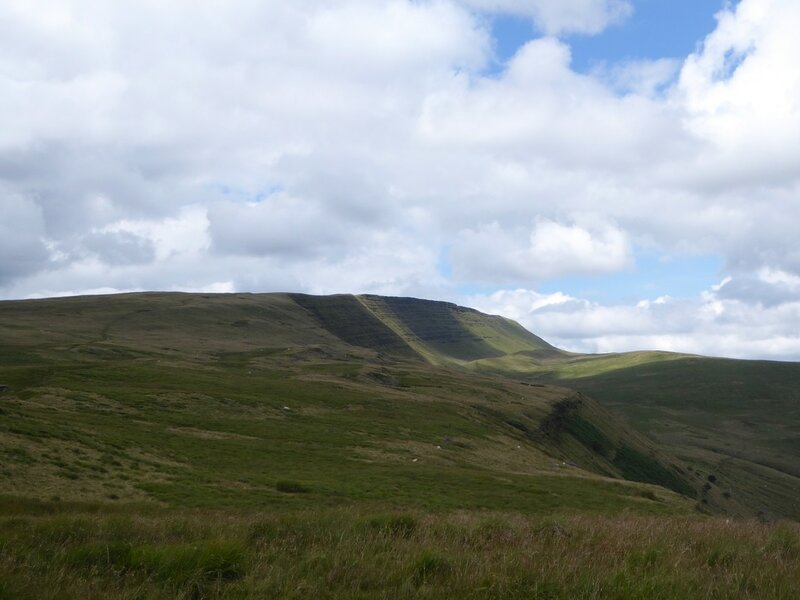 In hindsight this would have been a better spot to camp purely for the fact that the river was flowing and it was literally just off the main path up from Glyntawe. 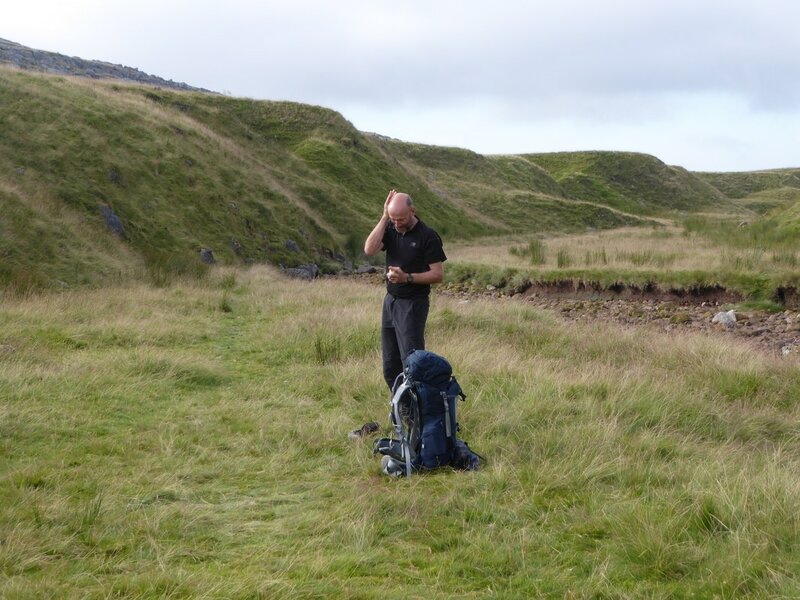 No matter - after a brief chat with the tent occupants we rejoined the path to begin the long transit over mainly featureless but dry hillside for several miles to the foot of Carreg yr Ogof. 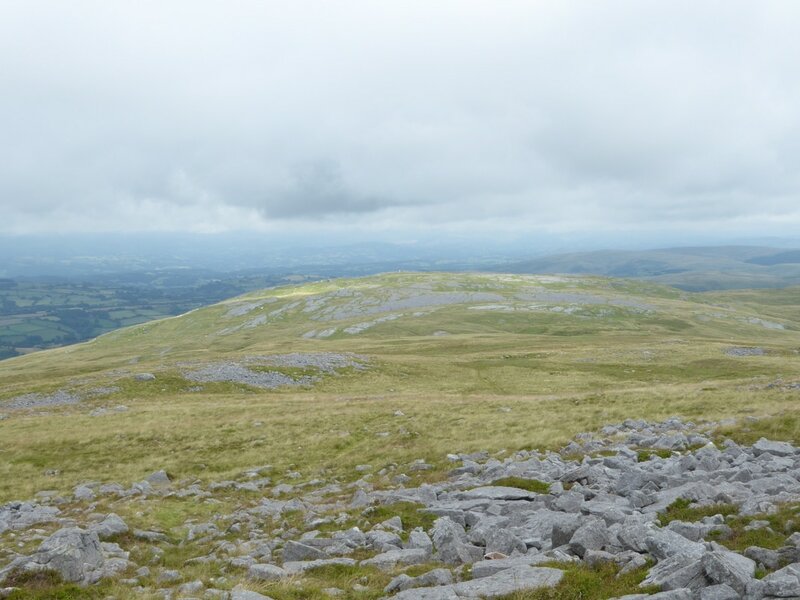 We then climbed on a gentle rise to reach the 2 prehistoric limestone cairns on the summit of Garreg Las. 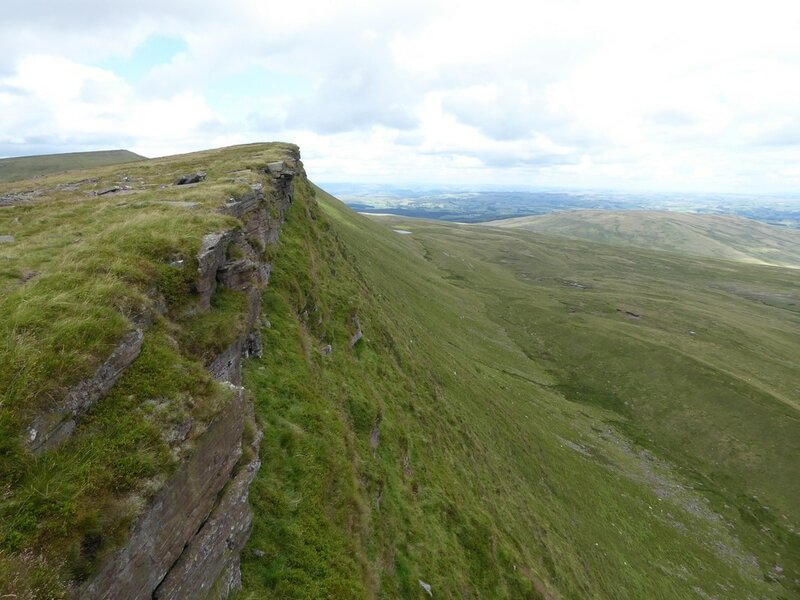 We had a bit of lunch here before a partially stony transit over to the Trig Point that marks the summit of Carreg yr Ogof. 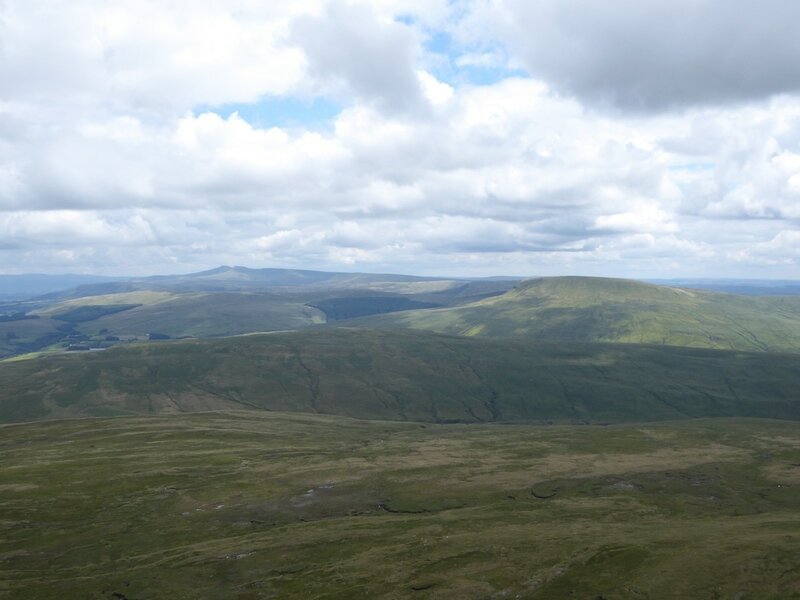 There are good views to be had from the summit and our route over to Waun Lefrith could be seen stretching away to the east. 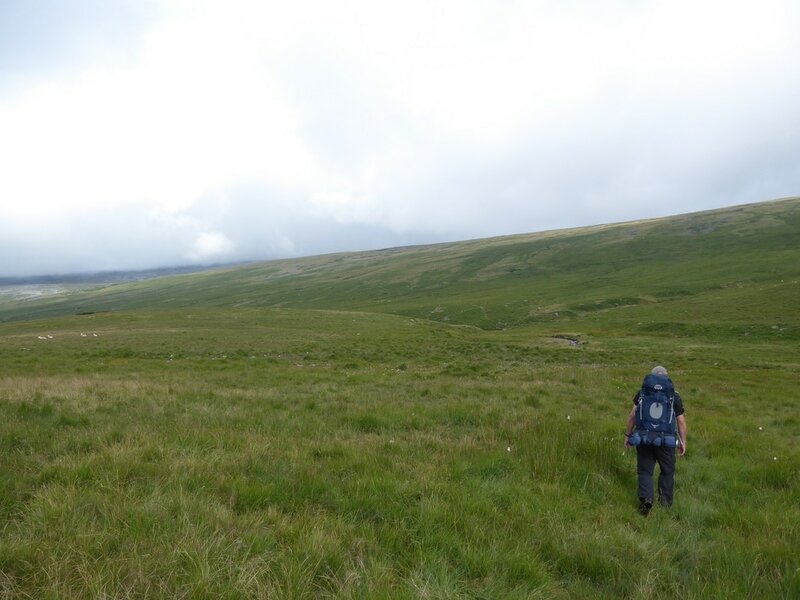 We now had an intermittent path to follow over to Waun Lefrith however the going was good underfoot as we ascended more steeply to reach the plateau summit of Waun Lefrith. 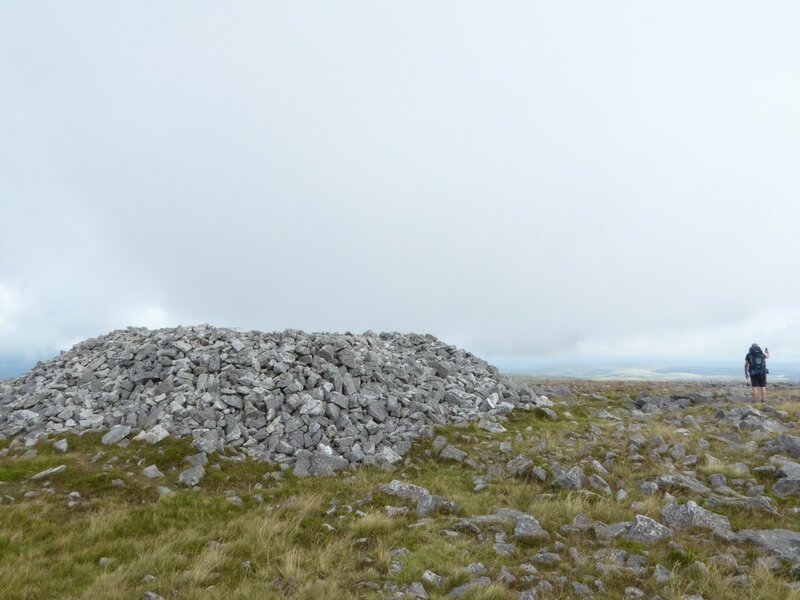 There is a large cairn here that sits just a few yards from the path on the edge of the escarpment. 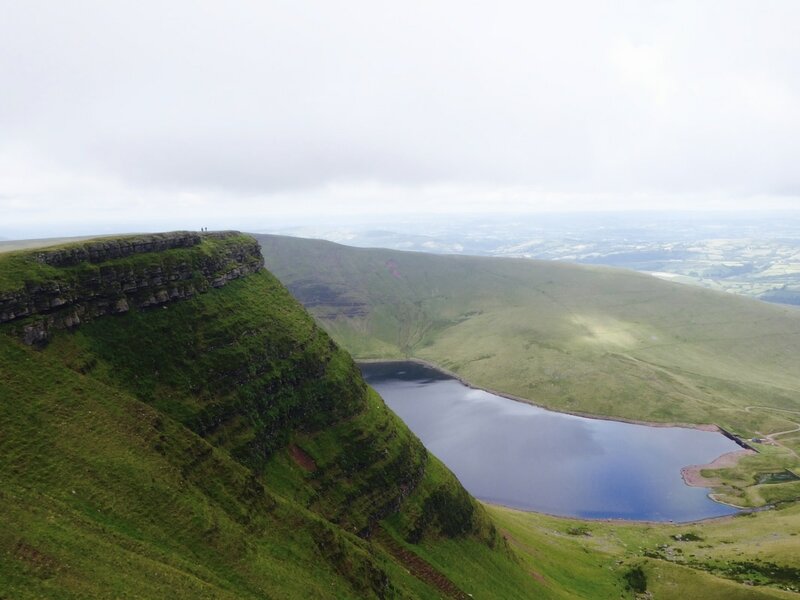 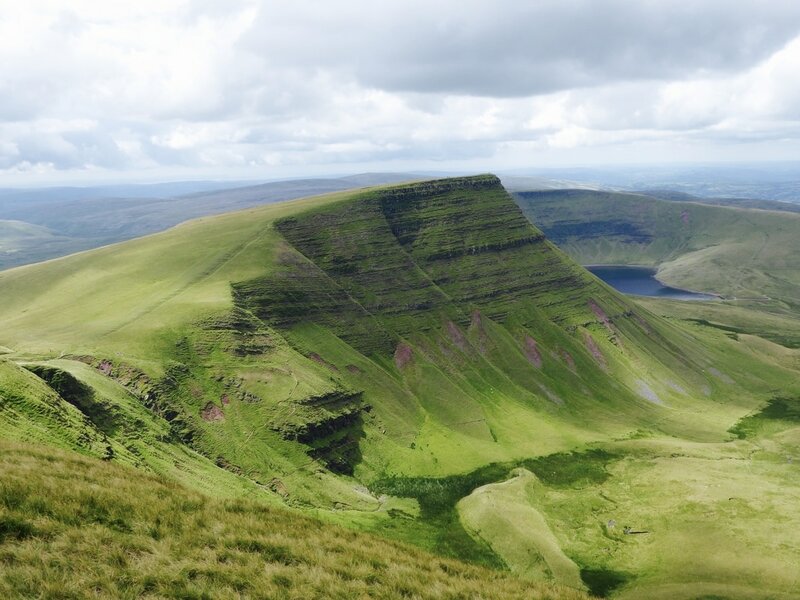 From the path, a superb vista unfolds and stretches away into the distance - the entire escarpment in view with Llyn y Fan Fach sitting below. 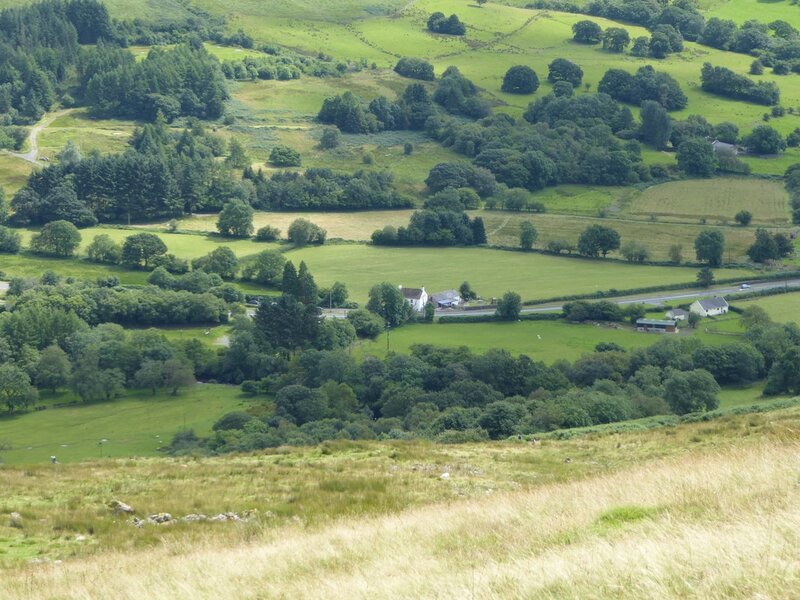 It was now time to really enjoy the next few hours walking as we headed along the escarpment - it is a transit that you should not rush! 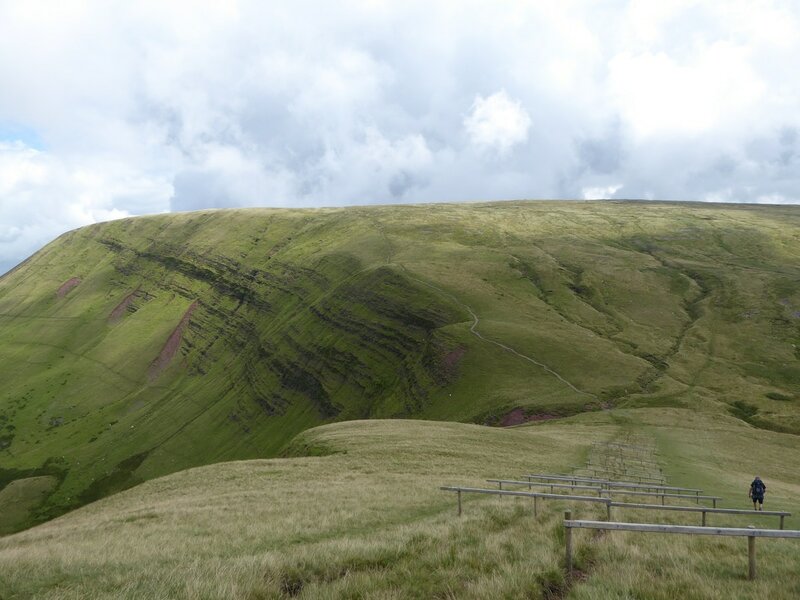 The path gently undulated as we made our way eastwards over Picws Du to drop steeply to Bwlch Blaen-Twrch. 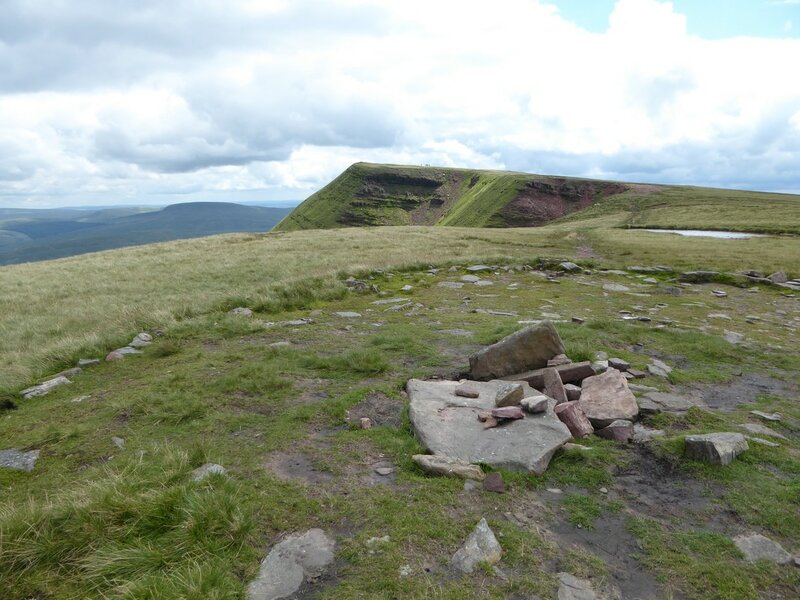 From the Bwlch, the path rises sharply to eventually reach the summit of Fan Foel where the tiny cairn marking the summit sits within a crude stone circle. 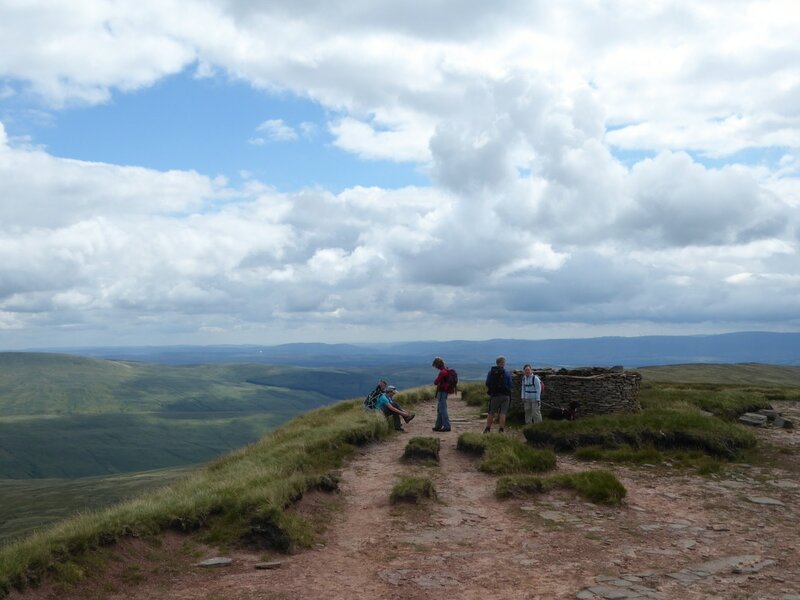 From Fan Foel the Trig Point on the next summit of Fan Brycheiniog was clearly visible and we made our way over to it via the subsidiary summit of Twr y Fan Foel with Llyn y Fan Fawr glistening below the escarpment. 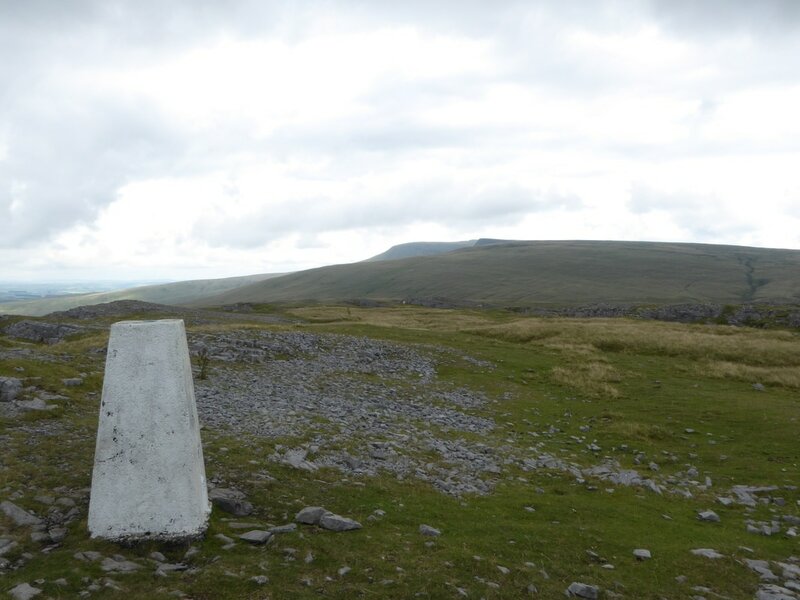 Just beyond the Trig Point is an impressive and well constructed stone shelter which was occupied today but would certainly make an excellent lunch stop - if only for the views from the door! 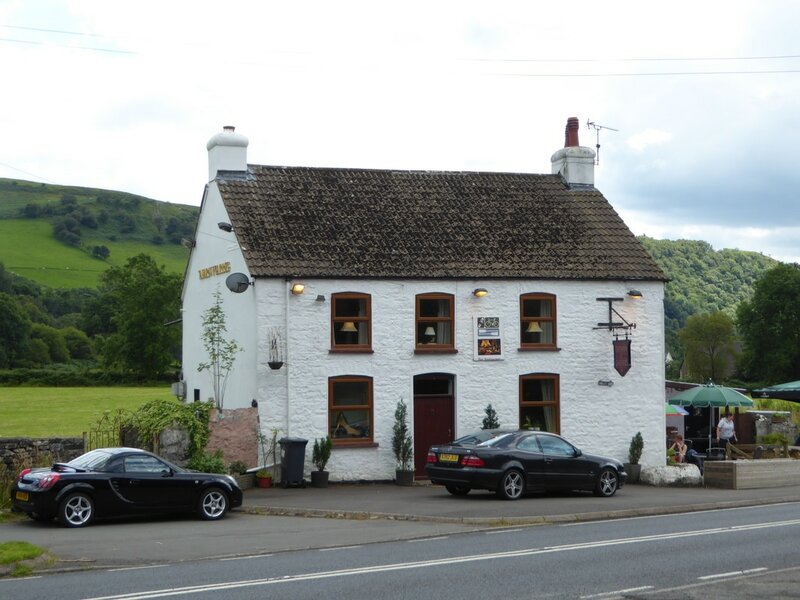 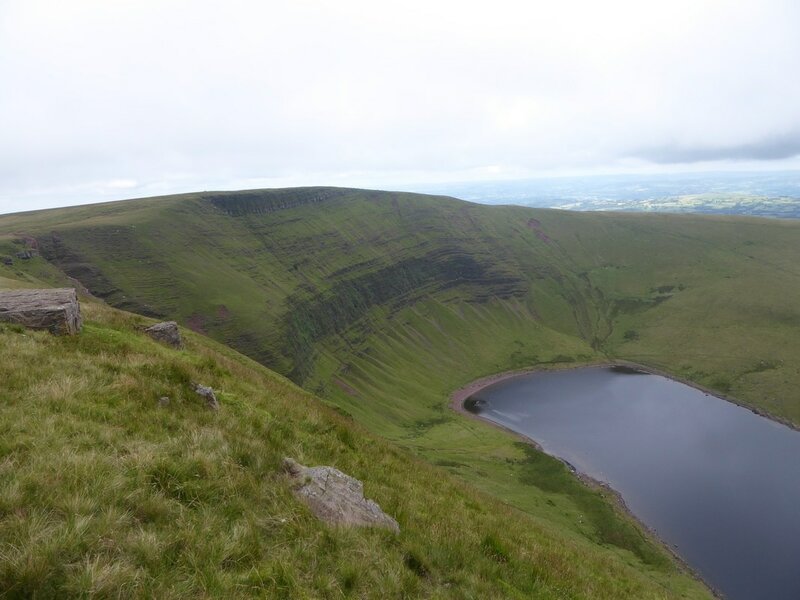 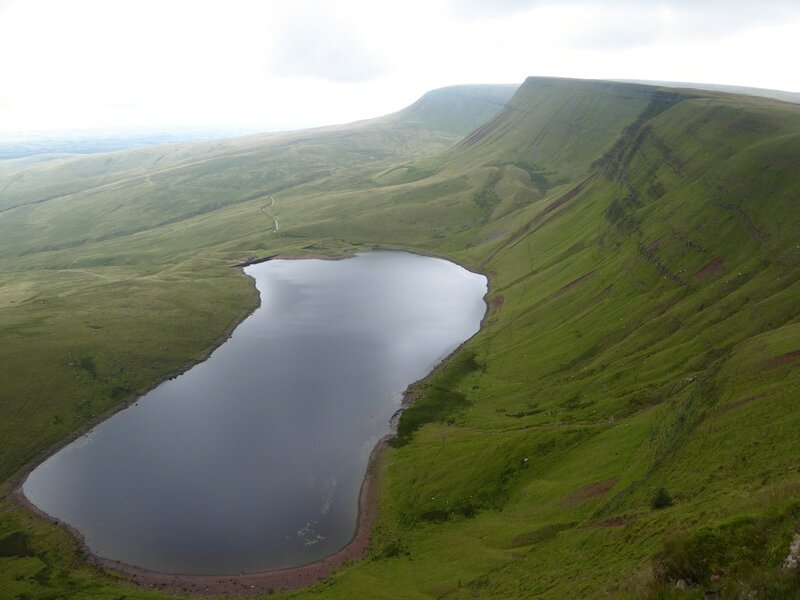 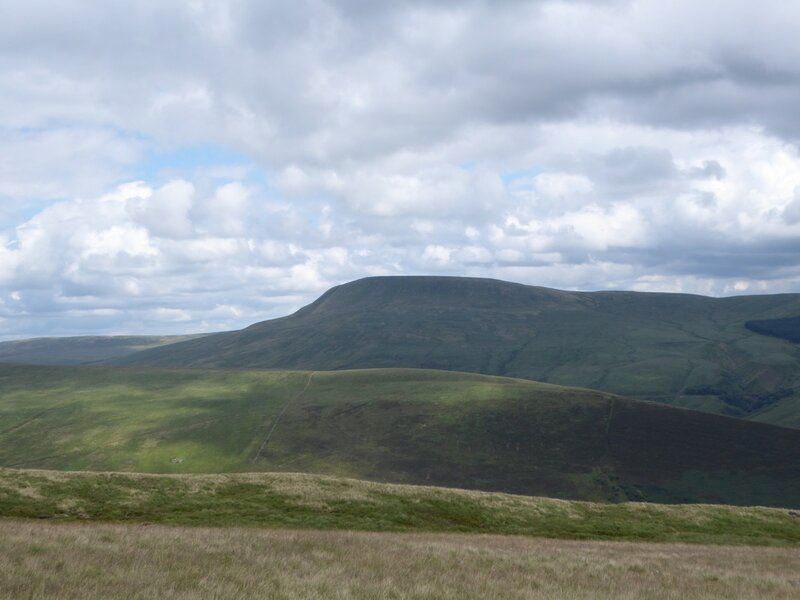 The route then descended gently to Bwlch Giedd where there is an option to drop steeply down to the lakeshore and head back to Glyntawe on an alternative path along the Beacons Way should the weather be unfavourable on the ridge. 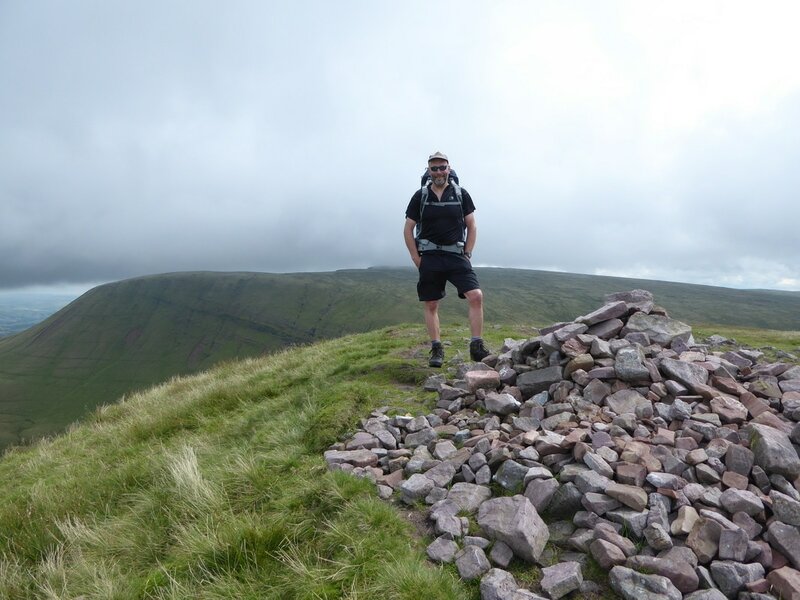 We continued from the Bwlch back up to the escarpment to eventually reach the promontory summit of Fan Hir where there are extensive views to Fan Gyhirych, Fan Nedd and over to the Pen y Fan range. 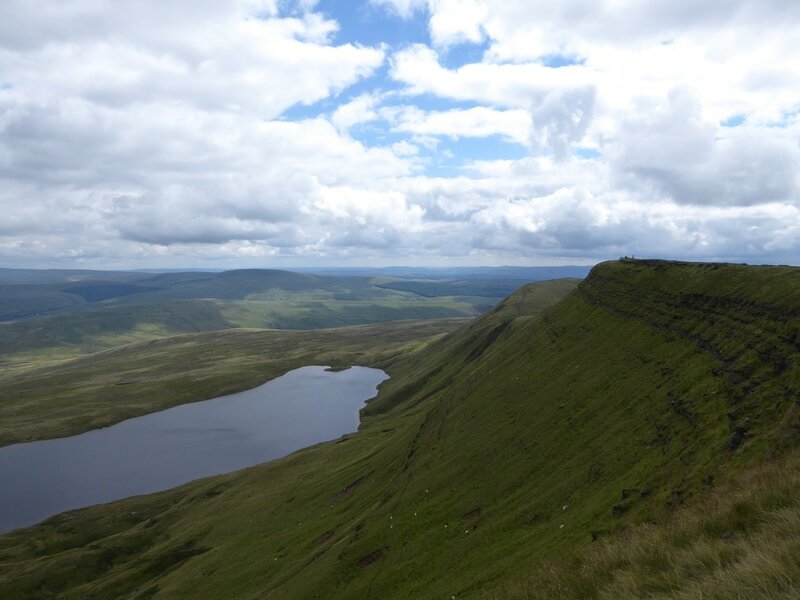 From Fan Hir's summit the route continues along the escarpment to eventually drop down over Allt Fach from where there is a knee crunching descent back down to the start at Tafarn y Garreg and suitable refreshment in the pub. 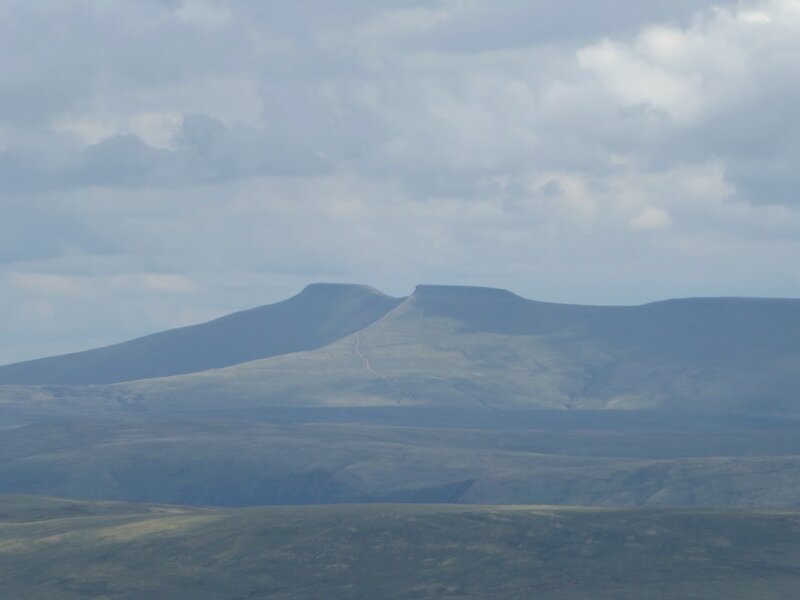 This was a cracking couple of days and whilst I have been up on Carmarthen Fan several times it was good to approach it from an alternative perspective today and therefore reach it from a different route.